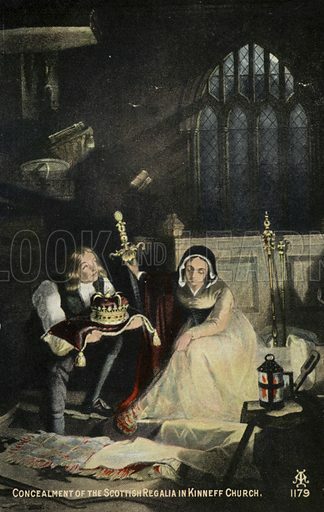 The best pictures of Scotland’s capitulation to Cromwell are images of fierce resistance and inevitable defeat. The first picture shows Fairfax’s army routing the Scots. 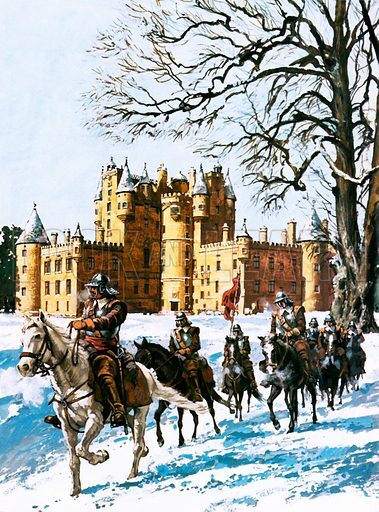 The second picture shows the Roundheads billeted at Glamis Castle. 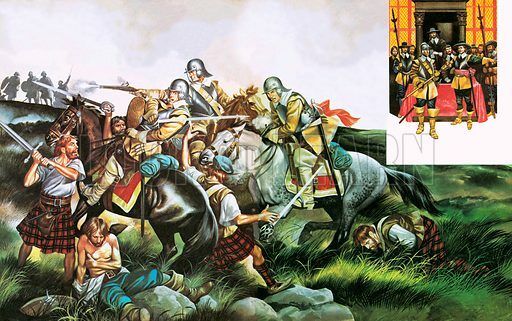 The third picture shows the Scottish regalia being hidden from Cromwell’s men.